thanks John , please continue to provide your experience with this cartridge . I and many others have found it very beneficial . Here's some new reloading data using V100: 6MM brx 28 in. Broughton barrel, CCI br2 primers, Lupua brass, of course. 36.o grs 2998fps, 3012 fps. Note this load showed pressure signs, ejector marks. Plus the case was filled to the top of the neck, bulkier than H4350. I'm not impressed with the velocities generated by this powder, or how bulky it is. I didn't even bother to test accuracy, secondary to poor velocities generated with max loads, and how compressed the charges were. I'll be testing the new wonder powder, Re-17 soon. Thanks on behalf of all improved 6 br guys great info please keep us informed with your findings!! You've got my interest. How is the Rifle Basix Sav. 2 working out? I have a SSS and want to safely go lower in pull weight; it looks like the Sav. 2 will do this. Is it a good smooth trigger? 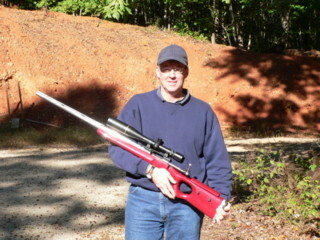 I'm really considering the 6BRX for my Savage single shot action and would like to thank you for your reports and info. Don't expect too much from Reloder 17 in the Dasher case. It's a powder that works best with cases that like H4350 or H4831sc. Jerry Tierney tried Reloder 17 in his Dasher. Acc. to Jerry "it shot OK, and is worth experimenting with, but you're going to run out of case capacity before you match the velocity of a faster-burning powder." Now, in the 6-6.5x47 or 6XC, with those cases' larger capacity... it's a different story. Thanks for the head's-up on Re-17 and velocity gains in the 6mmbrx-dasher. It sounds like this powder functions alot like v-100. I'll wait to I have some spare time to further confirm what you already know. That's the absolutely great thing about this site. I can't tell you how much time and money I've saved from the info posted on this site. You all do a GREAT JOB!. Keep up the good work. Thank you for reporting on all your shooting; I'm seriously thinking about going for one myself. Please keep us posted. Folks I thought a Face with a name is a good thing. I snapped a couple of pictures of John708 today with his Number 2 or Number 3 6mmBRX. He has done so many I can't keep track without looking at the serial numbers. 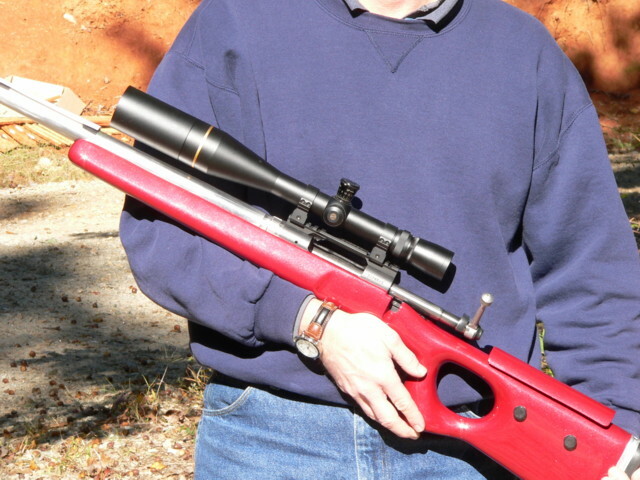 This is a left handed model 10 Savage action, a 31" Broughton, 1:8 5C barrel and a Stockade Elk Model stock. He has Ken Farrell Rings and Bases and a Leupold 8.5 X 25 scope.